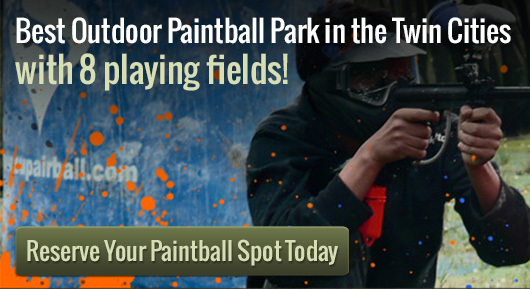 There are many exciting paintball courses available at the Action Packed Paintball facility. These courses range from various terrains, such as jungles and wooded lands, to historical scenarios, such as the Wild West and the Civil War. They also include various props and obstacles to maneuver around such as tombstones, buildings, and various types of plants, hills, and other element found in nature. Participants who are looking for a variety of terrains to play on have several options at this paintball course facility. The Jungle course is popular among the regular customers. This field offers a variety of plants and obstacles to climb on, over, and under that are all naturally found in the Jungles around the world. The Woodsball Field is also a popular nature course. This field is a wooded area with various types of plant life that can be found naturally in the area of Minnesota and the Midwestern United States. Players who enjoy reenacting historical events can choose between two exciting paintball courses at Action Packed Paintball. The first option is the city of Tombstone. This field is made up of various buildings and streets that could be found in various old west towns. The other historical field is the Civil War field. On this field players choose to be on the Grey or Blue team. They then reenact battles that took place during the Civil War. However, in this game the Blue team doesn?t always win. Action Packed Paintball is one of the premier paintball courses in Minnesota. Participants can choose between daily passes and season passes. The facility allows users to bring their own equipment or they can rent the equipment there. The facility does however require all gamers to purchase paintballs on set. These paintballs can be purchased in various amounts as needed by the individual player.